The Guardian Newspaper has written a series of pieces drawing on the work of Lyndall Ryan and other historians at the University of Newcastle on Colonial Frontier Massacres in Central and Eastern Australia 1788-1930 . What is behind the lamentations over History? Jim Grossman from the American Historical Association digs into the recent debate around what role historians play in public policy, and the public eye. Photographs show the first women’s game being played in Brisbane almost 100 years ago, long before the success of The Matildas. The photos were found in an old clubhouse by Queensland University of Technology (QUT) researcher Dr Lee McGowan. The caricature of Serena Williams draws on a long history of racist caricatures. 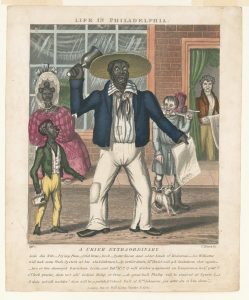 Whilst the messaging around these caricatures may have changed over time they still perpetuate racist myths about black people’s natures and capabilities, Clare Corbould contends. 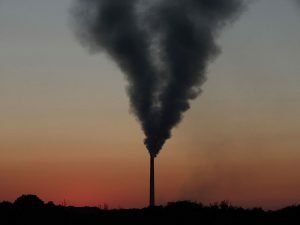 Additionally, Clare Corbould spoke to ABC Radio about the controversy along with ABC sports journalist Tracy Holmes and writer and commentator Sisonke Msimang. Have a listen here. 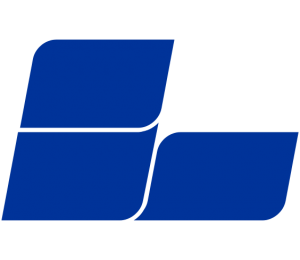 How does the “bloody implosion” of the Coalition leadership struggle compare to the collapse of the United Australia Party in 1941? Professor James Walter suggests the Liberal Party look to Robert Menzies who had to build the party from the ground up and unify conflicting groups. “For all of Turnbull’s rhetoric of disruption and innovation, he was a politician out of his time.” The success of liberal-conservative politics of Menzies and Howard have been undercut. 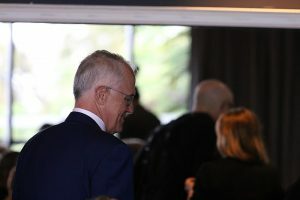 The failures of the liberal economy, the challenges of identity posed by mass migration and the rise of China, and the dissolution of the old middle-class base of moderate right-wing politics made Turnbull’s days numbered. When Winston Churchill refused to send troops to Australia, Prime Minister John Curtin turned to U.S. President Franklin D. Roosevelt who sent thousands of servicemen. In the end, Japan never did invade. “The real wartime terror came in the form of an American GI”. 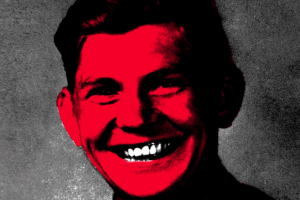 Erin Cook writes about the soldier and serial killer Eddie Leonski. “Trump: Well, I respect a lot of people but that doesn’t mean I’m going to get along with him. O’Reilly: But he’s a killer though, Putin’s a killer. 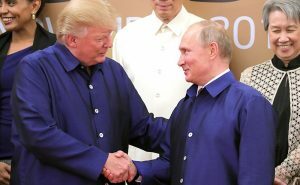 Filip Slaveski investigates what this comment means for American perceived moral superiority, Russain meddling in the US election and its impacts ob Aus-America and Aus-Russian relations. Almost everyday comparisons of contemporary politics to Nazi Germany are cropping up in the news. 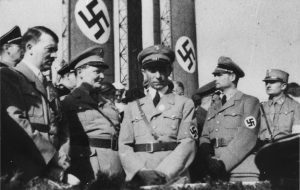 Professor Matthew Fitzpatrick attempts to answer some of these questions to see if these comparisons are historically grounded or are an abuse of Godwin’s Law. 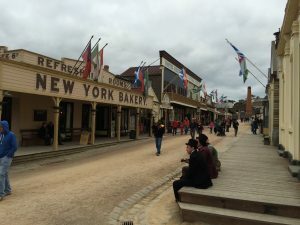 Writer Anne Kenney and La Trobe historian and author Clare Wright visit Sovereign Hill to give Ms Kenney a feel for goldrush-era Ballarat before writing the script for The Forgotten Rebels of Eureka. 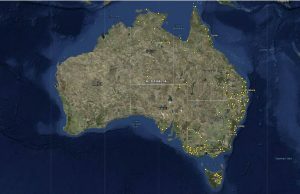 Professor Lyndall Ryan from the University of Newcastle has launched a digital map which plots the locations and details of 250 massacres, all but 10 by white Australians on Aborigines and Torres Strait Islanders, from 1788 to 1930. 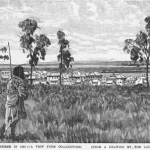 Helen Gardner and Jason Gibson from Deakin University and Stephen Morey from La Trobe University have uncovered a document in the Melbourne Museum that lists the Aboriginal places names for ten Melbourne suburbs. The document was in a cache of notes made by Alfred William Howitt, an anthropologist and Gippsland magistrate.